ANIMONDIAL is a unique consultancy working in partnership with travel businesses, not-for-profit organisations (NGOs) and academia to better manage tourism’s impact on animals, the natural environment and local communities in global destinations. Bringing compassion to tourism. Seeking to maximise the benefit, and minimise the impact, of tourism on animal welfare, species survival, and the natural environment through effective communication, education and strategic partnerships. Animals are a popular part of many holiday experiences: from the viewing of wildlife in the wild, to visiting captive animal facilities, such as zoos and animal sanctuaries, to using animals to carry people or loads. 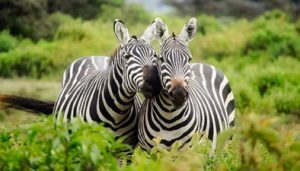 Travellers enjoy the chance to view or interact with animals in destinations and, when managed appropriately, animals can enhance the holiday experience for your customers. However, studies have indicated that many of the animal-based activities can result in poor welfare of animals, threaten their survival, and place people at risk. Understanding the needs of animals and how tourism practices can impact on their welfare is key to identifying and managing the associated risk. Whilst some animal activities may no longer be acceptable, there are many more responsible, sustainable and positively impactful alternatives. Helps businesses of all sizes identify, measure and manage the impact of their activities. Guides clients along the journey of implementing new standards to safeguard animal welfare whilst maximising the resulting positive business and ethical impacts. Advocates on the importance of animal protection in tourism. Provides a platform for NGOs to work in positive collaboration with travel businesses to drive powerful, long-term change. Supports initiatives that protect animals, natural habitats and communities in global destinations and encourages investment in trusted responsible alternative experiences. FIND OUT MORE ABOUT OUR ‘ANIMAL WELFARE IN TOURISM’ STARTER KIT! Designed by ANIMONDIAL and Rickshaw Travel especially for small to medium-sized travel businesses, the guidance aims to inform travel companies about the complex topic, and how to review their practices and include animal welfare safeguards throughout their business. The Starter kit is available at the introductory price of £200. This comes with an offer of a FREE initial consultation to find out how we can best support the individual needs of your business.